Alexey Romanovski was baptised in 2001 at the age of 19. At first he was an informal leader of young people both in Moscow and in St.Petersburg; he organized the ring of web-sites under very blasphemous and anti-monarchial slogan. 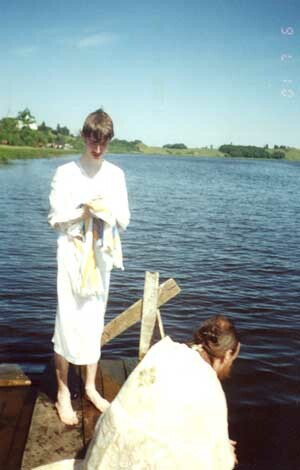 Later he converted to Orthodoxy and Father Gregory (Lourie) baptized him in the river of Volkhov in the town of Staraya Ladoga, one of the oldest cities in Russia (9 cent). The river of Volkhov was the ancient way "from the Varangians to the Greeks". 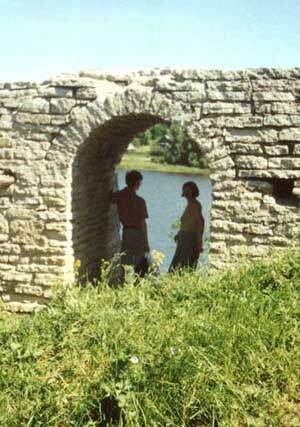 Here is Alexey with his wife Larissa, a poetess, in the fortress of Staraya Ladoga after the baptism of Alexey. Larissa converted to Orthodoxy half a year later. 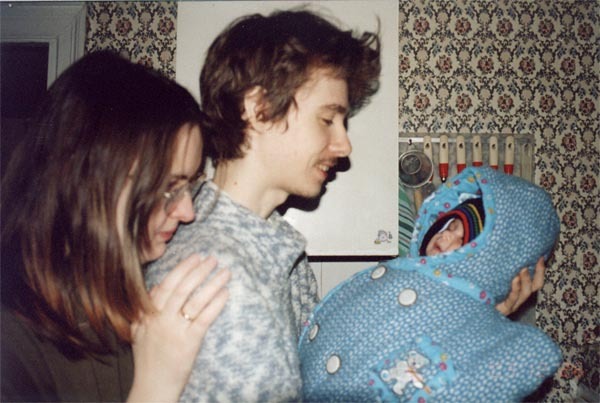 That year they graduated the university, Alexey started to work as a programmer (also writing his Ph.D. thesis), and Larissa worked as a journalist. They became the parishioners of the ROAC Church of Royal Martyrs in Moscow. The appearance of their son Michael was really miraculous. They did not have children for several years, and then doctors told Larissa that she has serious problems with health and she will have no children. They were really very upset. At that time they were asked to take to their house one 19 years old intractable girl who had serious psychic problems. They were asked to take her only for 3 days, but when they learned that at that time she had no place to live in Moscow, they took care of her and watched her carefully and devotedly as if she is their dear close relative. The girl made a flood and almost made a fire in their apartment, but they kindly and diligently took care of her, and Larissa was a friend and a mother for her. After the girl moved, Larissa was told that she is going to have a baby. So, a small Michael was born. 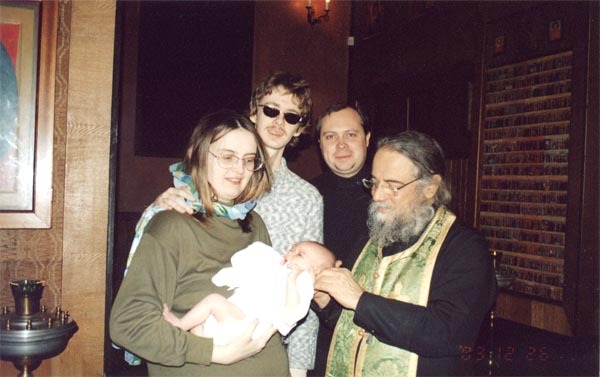 Protopriest Michael Ardov, rector of the Church of Royal Martyrs in Moscow, baptizes Michael, who is 1,5 months old! !